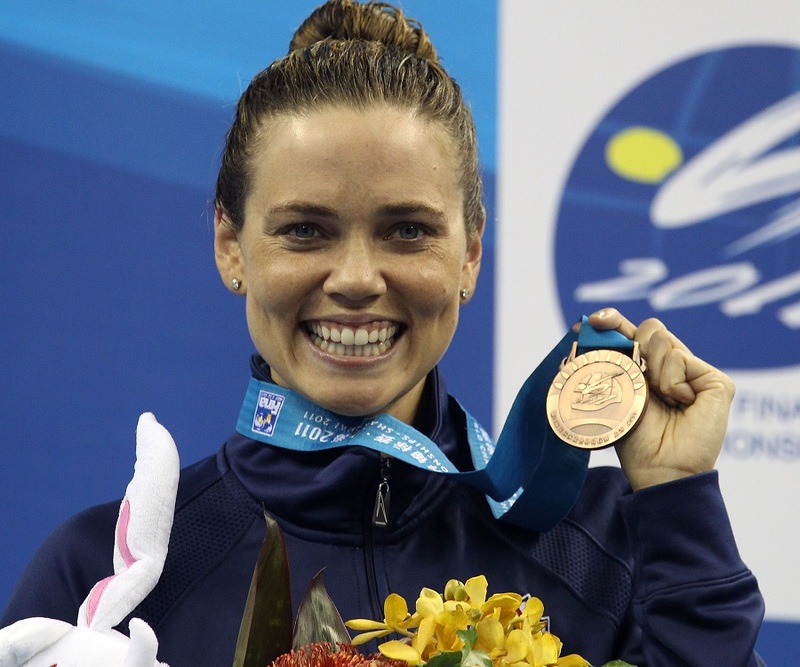 Natalie Coughlin is an American swimmer and winner of twelve Olympic medals. This biography of Natalie Coughlin provides detailed information about her childhood, life, achievements, works & timeline. Natalie Coughlin is an American swimmer and winner of twelve Olympic medals. She is one of the most celebrated and decorated athletes of America. Right from the early age, she was interested in swimming which transformed into passion as she grew up. It was at a very early age that she started participating in competitions and breaking records. Despite her shoulder injury, which held her from competing in 2000 Sydney Olympic Games, she was determined to become a world-class swimmer, which she did with her willpower and earnest efforts. Her future success could be anticipated from the fact that in her first world championship, she made the world record of completing a 100-meter backstroke in under a minute. Over the next few years, she shaped many such success stories around the world in various championships, the most significant being the Olympic Games, in which she won twelve medals—most medals by a female American athlete in the championship. Her utmost dedication and unparalleled devotion to the sport of swimming makes her an inspiration for everybody. Her achievements truly define the courage and hard work required in life to reach the pinnacle of success. She was born on August 23, 1982 in Vallejo, California and is of Irish and Filipino ancestry. Her father was a police officer and her mother was a paralegal. 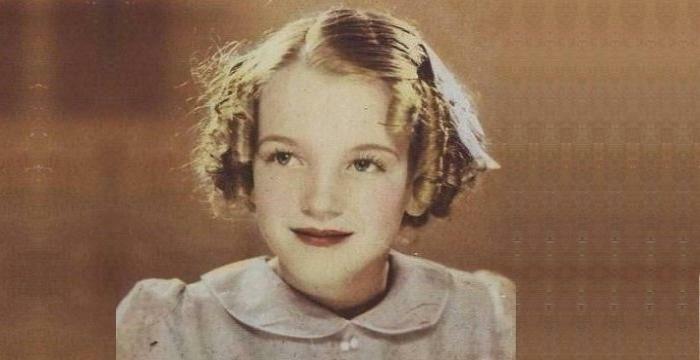 She was a child prodigy and started swimming at the local YMCA when she was just 10 months old. At the age of six, she started competitive swimming in various events. She received her education from kindergarten to eighth grade at the St. Catherine of Siena School in Vallejo and then attended Carondelet High School for further education. In 1998, she qualified for the Summer National in all fourteen events and became the first swimmer to do so while studying in high school. She graduated from high school in 2000. She got enrolled at the University of California at Berkeley for her Bachelor’s Degree. While in college, she became a part of coach Teri Mckeever’s swimming and diving team, Cal Bears, and won twelve ‘National Collegiate Athletic Association’ championships. She was named ‘NCAA Swimmer of the Year’ for three consecutive years from 2001 to 2003 and Sports Illustrated magazine also recognized her as the college Female Athlete of the Year. She graduated with a Bachelor’s Degree in Psychology in 2005. In 2001, she started her international career at the World Aquatics Championship in Japan winning three medals. She won a gold medal in 100-meter backstroke, a silver medal in women’s 4x100-meter medley relay and a bronze medal in the 50-meter backstroke. In 2002, she competed in the ninth Pan Pacific Championship in Japan and added a streak of medals to her tally. She won six medals—including four gold medals and two silver medals. She won gold medals in women’s 100-meter backstroke, women’s 100-meter butterfly, women’s 100-meter freestyle and women’s 4x200-meter freestyle relay. In 2003, she won a gold and a silver medal at the tenth World Aquatics Championship in Barcelona, Spain. In 2004, she participated in the Athens Summer Olympics Games and won her country two gold medals, two silver medals and a bronze medal. 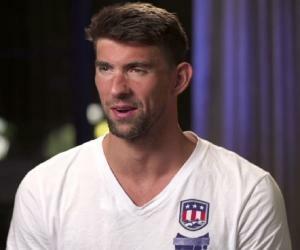 She broke the world record and won gold as a member of the 4X200-meter freestyle relay. 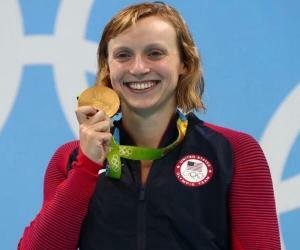 She also won a gold medal in women’s 100-meter backstroke event. In 2007, she won five medals at the World Aquatics Championships in Melbourne, Australia. It included two gold medals, two silver medals and a bronze medal. She also set a new world record in the 4x200-meter freestyle relay along with Katie Hoff, Dana Vollmer and Lacey Nymeyer with the final time of 7:50:09. The 2008 Summer Olympic Games held in Beijing saw her winning a total of six medals—one gold medal, two silver medals and three bronze medals. She won the gold medal in the 100-meter backstroke, retaining her first position from the Summer Olympic Games of 2004. In 2010, she participated in Pan Pacific Championships held in California, U.S.A and won three gold medals and a bronze medal. She won gold medals in 100-meter freestyle, 4x100-meter freestyle relay and 4x100-meter medley relay. In 2011, she won three medals—one gold, one silver and a bronze in the World Aquatics Championship in Shanghai, China. In 2012 London Summer Olympic Games, she found herself competing with young swimmers and earned a bronze medal in 4x100 meter freestyle relay. In 2002 World Aquatic Championships, she became the first woman to swim the 100-meter backstroke in under a minute. In 2007 World Aquatic Championships, she broke her own world record for the 100-meter backstroke, set in 2002, in a record time of 59.44. In 2008 Olympic Games, she won six medals, most by a female athlete in one Olympics in the modern Olympic history. In 2012 Olympic Games, she won her twelfth medal tying the record for most career Olympic medals by a female U.S. athlete which had previously been established by Jenny Thompson and Dara Torres. Along with her countless awards, she earned the ‘World Swimmer of the Year Award’ once and ‘American Swimmer of the Year Award’ thrice (2001, 2002 and 2008). She married her longtime boyfriend and the swim coach of Crow Canyon Sharks, Ethan Hall, in April 2009 at Napa, California. Their dog served as the ring bearer in the ceremony. She is passionate about cooking and appeared as a judge on the TV show ‘Iron Chef America’. She also wrote a book along with Michael Silver titled ‘Golden Girl’, inspired from her life events. She took part in the ninth season of dance reality show ‘Dancing with the Stars’ and appeared in the 2012 Sports Illustrated Swimsuit Issue.